Performance is one of the values of Bournville Harriers, and whilst the club caters for athletes of all abilities, we are keen to attract and retain fast runners who inspire and motivate the whole club to train well and perform to the best of our ability. Our Club Records for Road Races are now available HERE. 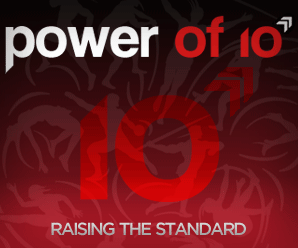 Please note that to qualify as a club record your performance must be listed on Power of 10. If you think your record is missing, please email info@bournvilleharriers.org.uk.